Nick Mills has worked in senior marketing roles for 15 years. Originally from a direct marketing background, Nick joined Coral bookmakers in January 1998 and worked there as marketing director until March 2005. Nick left Coral to work for Racing UK as commercial director in March 2005 and is responsible for the Sales and Marketing functions within RMG. Ed was appointed Racing Director at RMG in September 2011. Previously, Ed was Clerk of the Course at Chester and Bangor-on-Dee since 2004 and before that worked at Market Rasen and Nottingham. A former graduate trainee at the BHB, he also worked as a pupil/assistant trainer for Ian Williams in the UK and Etienne Leenders in France, between study periods. He rode three winners from 60 rides as an amateur jump jockey in point to points. He holds an MBA from the University of Chester and a BA in French and Russian from Bristol University. Clive was appointed Director of Marketing for Racing UK in February 2011, having spent the preceding 9 months consulting for the Commercial side of the business. Clive joined from the Betting and Gaming sector having performed senior marketing roles since 2003 at both Gala Coral and Party Gaming. In the early part of his career he developed his marketing skills within the Financial Services and Mail Order sectors. Adam joined RMG in January 2014. Prior to this he was Head of WTA Media at Perform, managing the media rights to WTA tennis events worldwide. He has worked in the television and film industry for more than 15 years in various senior roles at the Volvo Ocean Race, Off The Fence, ITV and Sky Sports. Adam has worked on a range of projects including Formula One, UEFA Champions League, Wimbledon and the Rugby World Cup. 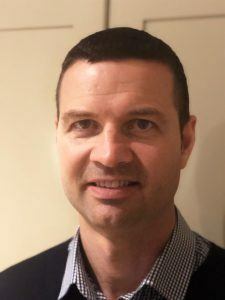 He has extensive experience in commercial broadcast negotiations and is responsible for RMG’s broadcast and production interests in Racing UK, Turf TV and Racing TVi. Seb has worked in the racing world all his career. He started at the Racing Post in 2001 and fulfilled dual roles as reporter and assistant news editor for the next four years, before moving to Dubai in 2005, where he worked as PR Manager for the Dubai Racing Club. He moved back to the UK at the end of 2008 and joined RMG in June 2009. Ian Houghton has worked in the racing industry since the end of 1999. Having started his career in the retail sector, a keen interest in racing led to him joining the Tote. Having held a number of positions there, both from a racecourse perspective and latterly managing relationships with off-course betting companies that bet into the pools, Ian joined RMG in June 2010. The majority of Ian’s role is working within the GBI Racing joint venture, responsible for GBI business in Europe and the Far East. Ian has been a Territory Director for GBI, and a member of the GBI Management team, since 2016.